In 2019, Eco-Schools celebrates 25 years of excellence in the field of Environmental Education and Education for Sustainable Development. 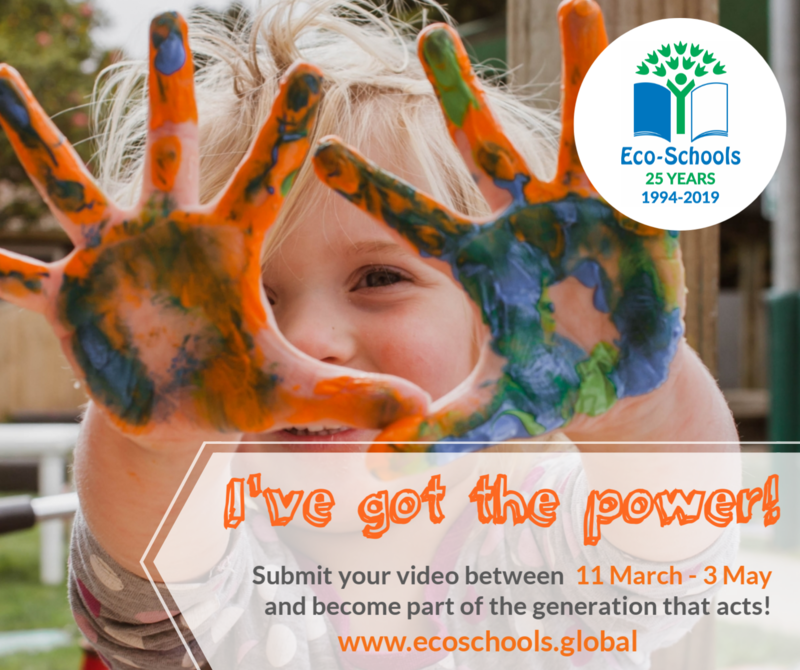 This campaign aims to involve each and every actor within the Eco-Schools global network – students, teachers, school and University administration, school staff, volunteers, other organisations, and our institutional and corporate partners – to voice a message to the global community; that it only takes an idea told out loud to engage ourselves and our political leaders in positive actions! Every day I … (positive action description). both a version aligned with the campaign slogans above and your own. Follow Eco-Schools Global on Facebook and Instagram to watch the latest videos!